Rethinking Your Relationship with Caffeine? If you’re like most folks, around New Year’s, you find yourself reassessing things in your life – particularly with respect to your health. One common reassessment? Caffeine consumption. But while coffee is the number one source of this stimulant, you’ll find it in plenty of other places, as well. Think tea. Energy and other soft drinks. Chocolate. 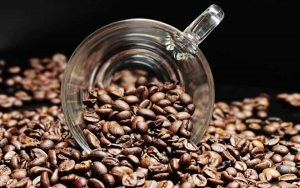 In fact, caffeine occurs naturally in over 60 plants, including yerba mate and guarana berries, in addition to more familiar plants such as kola nuts, coffee and cocoa beans, and tea leaves. As we’ve noted before, some sources of caffeine may actually do more than just give you a temporary energy boost. For instance, the antioxidant and anti-inflammatory properties of coffee may protect against gum disease. Other research has shown that tea may likewise support healthy gums by boosting microbial diversity in the mouth, while coffee might lower the risk of certain oral and throat cancers. Of course, this is presuming that you drink them plain, without syrups, sugars, and other sweeteners that contribute to tooth decay and gum disease. But you can have too much of a good thing. Insomnia, jitters, anxiety, nausea, headache, and a racing heart can all be signs that you’ve overdone it. If you experience symptoms such as headaches, bad mood, poor concentration, or plain tiredness when you go without – or find you need more caffeine to get the same effects you used to get – it’s a sign you’ve become dependent on the stuff. If you want to eliminate caffeine completely, you might not want to quit cold turkey. Caffeine withdrawal can have unpleasant side effects. The most common is a headache that can last several days. Drinking lemon juice in warm water with a bit of honey can help with withdrawal symptoms. Drink more water. You know you’re supposed to stay hydrated, but were you aware that water may give you more energy? Dehydration can cause fatigue. Get regular exercise. Exercise boosts your energy while helping you sleep better at night. Get more sleep. A 2018 poll by the National Sleep Foundation showed that up to 46% of Americans have poor sleep habits. More sleep means less daytime fatigue. Try decaf. You’ll still be getting some caffeine, but not nearly as much as in non-decaf coffee. If you’re a tea drinker, switch to teas lower in caffeine than others – or try herbal tea instead. Revitalizing varieties such as ginger can be a terrific pick-me-up. Include high quality proteins in your diet. Where sugars and carbs tend to give you a quick shot of energy followed by a crash, proteins and the fats that typically accompany them offer sustained energy. Crank up the music. Listening to upbeat music can boost your energy levels. Some types can even increase your productivity.